Students in Springdale, Arkansas write this blog. It's just one of the ways we SHINE! Red Ribbon Week by Josie S.
Tuesday- Don’t Dull Your Sparkle! Wear sparkly clothes or stars! 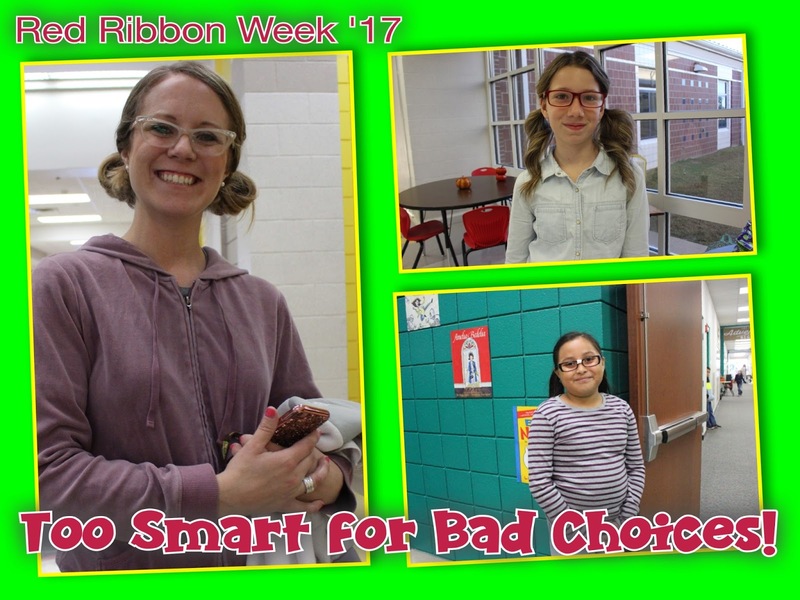 Wednesday- To Smart for bad choices! Dress like a nerd or a smartie pants! Thursday- Let’s Lei off drugs! Wear leis or hawaiian clothing! Monday- We are in this together! Each grade wear the same color! Tuesday- Book character parade! Dress up in your Halloween costume and make sure to bring a book- and you’ll be ready! Have fun during the parties! Please join the school for this year’s Red Ribbon Week! It is so much fun to dress up and prove that we are going to be drug free! What are you going to be for the dress up days?